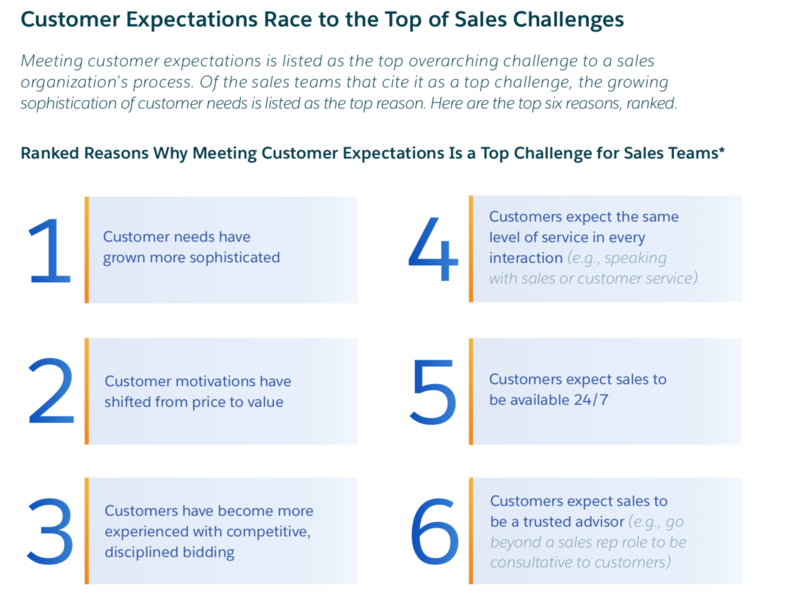 Which overall trends are changing the role of sales? 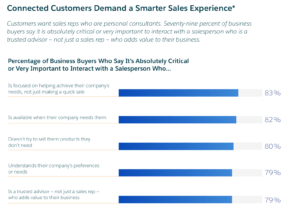 How is sales pivoting to be smarter, faster and more customer-centric? Which technologies are the most impactful for improving sales productivity and efficiency? Which strategies and tools are high performers adopting to stay ahead of the pack? What does the future of selling look like? The report has a lot to say abo ut how sales strategy and priorities are shifting, giving an insight into the changes that are happening around technology growth, strategy evolution, and customer-centricity. Here is an overview of the top findings from the report. In today’s connected marketplace, informed customers have more power to dictate which businesses lead – and which fall behind. 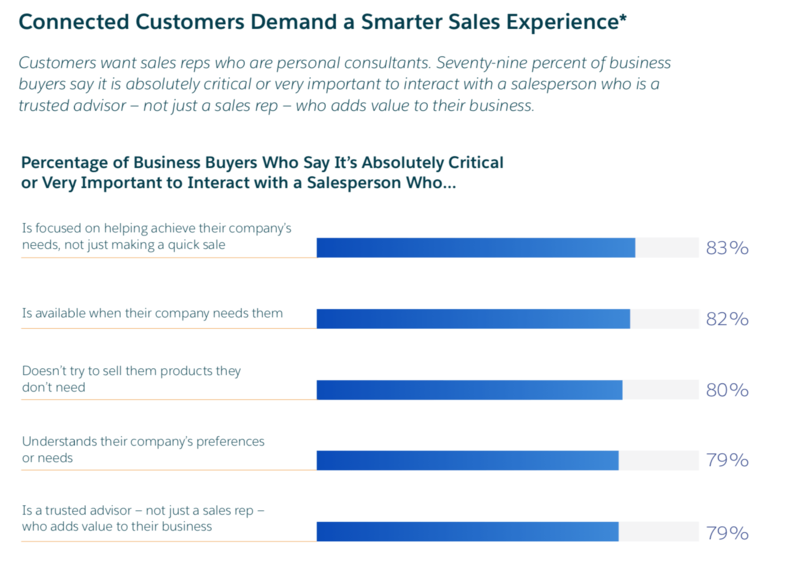 As a result, sales teams are pivoting to focus on customer-centricity. The shift is influencing sales teams to think differently about how qualify success. 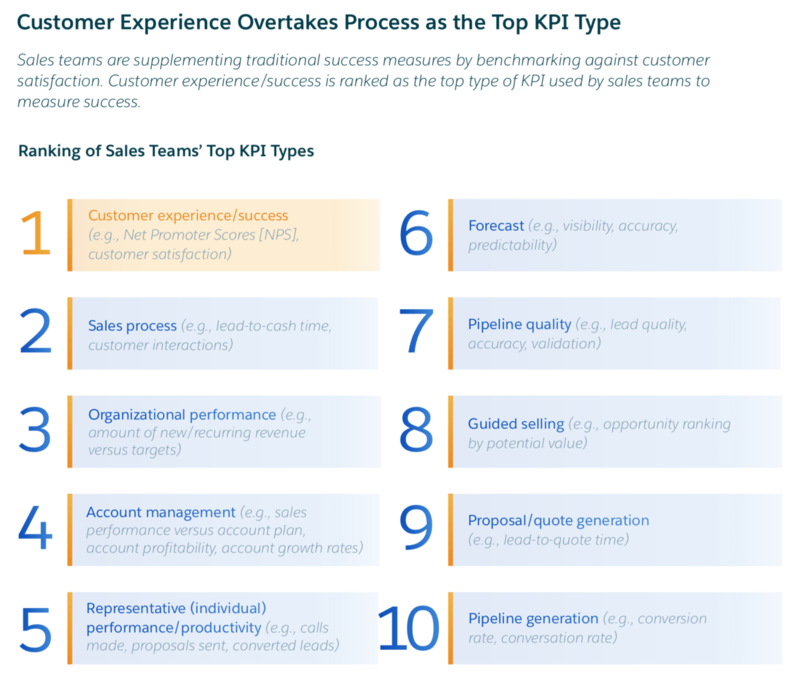 Customer experience/success in ranked as the top KPI used to measure success. 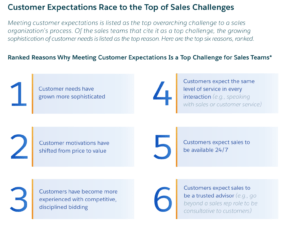 Sales Teams must reimagine the traditional sales approach in order to keep up with customer preferences for instant, tailored and always-on sales. Leading teams are better at understanding and anticipating their customers’ needs with collaboration, strong partner ecosystems, cross-channel interactions, and immediate engagement. High performers are 2.9x more likely than underperformers to strongly agree their company is available to customers anytime. Facing increased customer demands, sales teams can no longer afford to be hindered by time-consuming and manual administrative tasks. Top teams are bullish on technology that will help them close the productivity gaps, while others continue to lag behind. 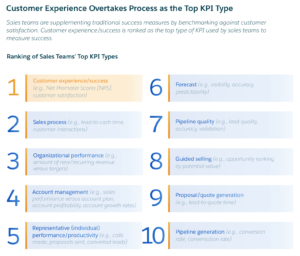 Among sales teams that cite ineffective internal processes as their top challenge, excessive administrative tasks was the top cause. Intelligent technologies with the ability to automate, simplify, and ultimately transform the sales process are no longer confined to wish lists – they’re here now. In fact triple digit growth is expected in areas, such as predictive intelligence, lead to cash process automation, and artificial intelligence in the next three years. Successful businesses must now take the leap into smarter selling processes to keep the ever-demanding consumer happy. CloudShift makes the move to Cloud computing for businesses easy, we can bespoke a CRM system that can guide your customer through the buying and decision making processes seamlessly. Intelligent sales is the future and the future is here, those who are getting a head start are seeing results in every aspect of their sales process. Talk to our talented team to discuss your requirements.